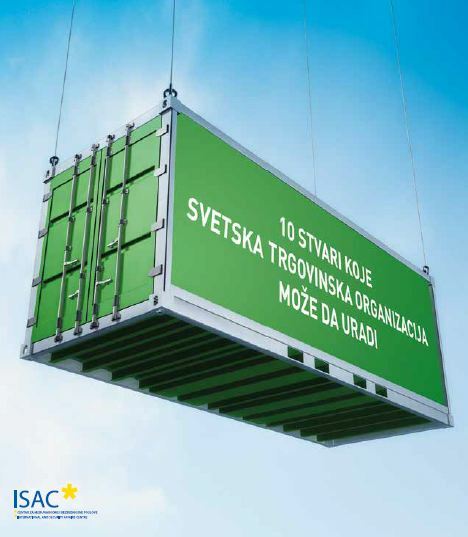 ISAC fund presents its newest publication about the World Trade Organization. This publication is the translated and adapted version of the WTO original publication titled “10 Things the WTO Can Do” and it offers a short review of 10 most important areas in which the WTO made its biggest contribution, as well as its greatest achievements and benefits. This publication represents an opportunity for all interested parties to acquire basic knowledge about the importance of this organization, its objectives, the specific areas in which it has jurisdiction as well as the benefits of full membership.